I've been looking forward to sharing this session before it was even in the calendar. You can always tell a brides excitement through emails. I've never been shy with my use of exclamation marks and weirdly placed 'YAY's' so it didn't take me long to LOVE Courtney. I could sense from the get go that we would get along perfectly and boy was I right. Her vivaciousness follows through from her emails to her in person excitement.. & you know what? Scott's personality matches Courtney's perfectly. Leading up to their session Courtney and I chatted about locations and light. 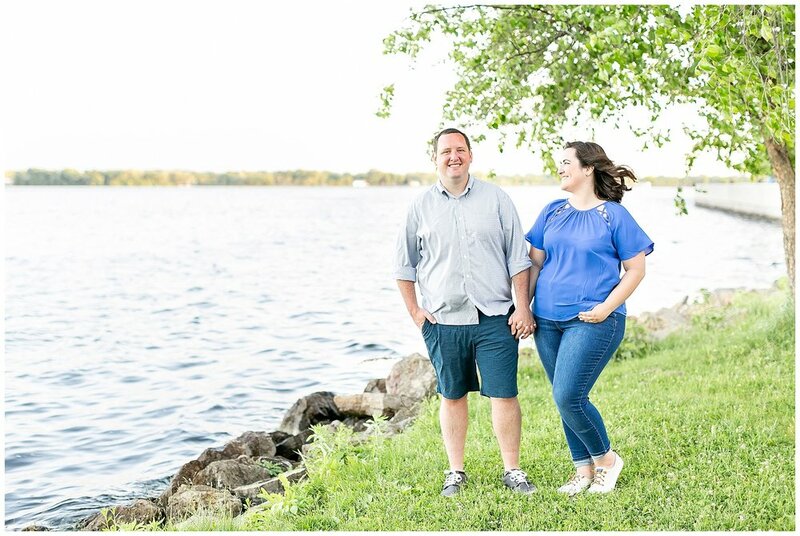 She and Scott opted for a downtown Madison session which is honestly always a DREAM location. The light is always perfect. The breeze is unmatched. It's one of my ALL TIME favorite places to shoot & getting to photograph these two here was such a treat.